Foeniculum vulgare (fennel) is an erect perennial herb (family Apiaceae). Although the plant is very common throughout the state, dense local populations have been reported from Santa Cruz Island, in fields around the San Francisco Bay region, Palos Verdes Peninsula (Los Angeles County), and Camp Pendleton (San Diego County). It can drastically alter the composition and structure of many plant communities, including grasslands, coastal scrub, riparian, and wetland communities. 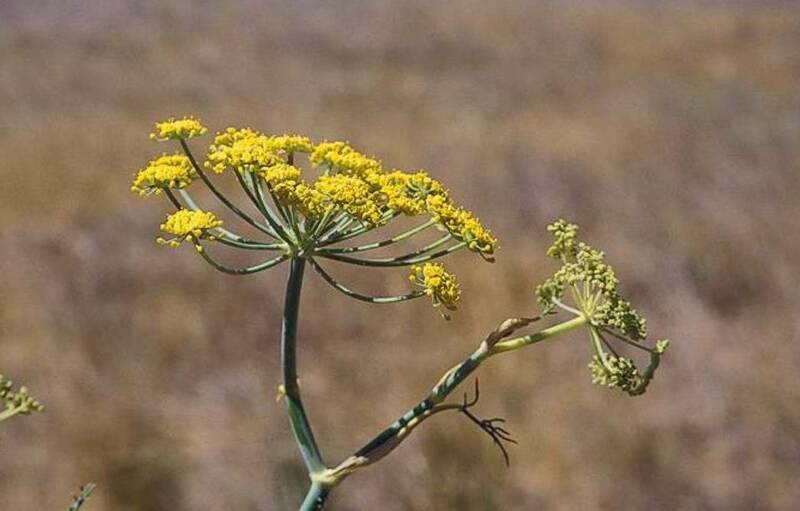 It is still unclear whether culinary varieties of fennel are invasive.